(NaturalNews) The U.S. is in the midst of an arsenic crisis. And yet a single U.S. congressman, admittedly influenced by corporate lobbying, is consciously blocking efforts by the Environmental Protection Agency (EPA) to impose new restrictions on the chemical element that would protect the public against this known neurotoxin and carcinogen. For a number of years, the EPA has been investigating the safety of arsenic in order to update its official health assessment for the element. A 2008 investigation by the agency revealed that its existing arsenic profile was grossly out of date, and that inorganic forms of arsenic are actually 17 times more potent as carcinogens than previously thought. A draft version of this report was released more than six years ago with the expectation that it would be prudently finalized and implemented in order to reassess safety levels for arsenic exposure in water and other sources. 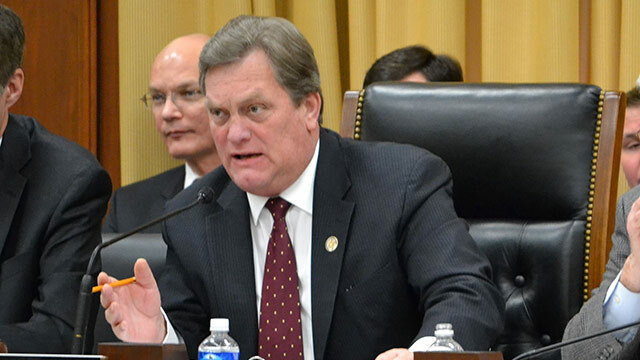 But Congressman Mike Simpson, a Republican from Idaho, has single-handedly prevented the EPA report from being finalized and has even worked to expand allowable levels of arsenic in drinking water. "Simpson for years has objected to EPA rules on arsenic in drinking water, arguing that it creates a burden on rural communities that are ill equipped to upgrade their water-filtering systems," wrote Tim Mak for The Daily Beast. In truth, Simpson actually just sold his soul to the chemical lobby, which pushed him to block new arsenic guidelines and lift a ban on arsenic-containing weed killers that are highly profitable to the industry, but highly toxic to the public. Simpson admittedly took the bait, and is now spreading quite the ruse to exonerate himself of his villainous actions. "Simpson acknowledged that he inserted language into a report attached to an appropriations bill, and that effectively forced the EPA to lift a ban on the weed killers," explained Rebecca Williams for Michigan Radio, noting that an industry lobbyist working on behalf of two companies that sell arsenic-containing weed killers persuaded Simpson to turn against his constituents. Arsenic exposure is a very serious issue, as even very low levels of the substance can cause immense harm to humans. Joseph Graziano, a professor of environmental health sciences at Columbia University's Mailman School of Public Health, told Michigan Radio that arsenic is capable of damaging every system of the body. "To some extent, we're learning that no organ system goes untouched," he is quoted as saying. "There's neurotoxicity, there's cardiovascular disease, there's some evidence of diabetes, there's a whole suite of cancers: lung cancer, bladder cancer, skin cancer." And while it was previously believed that only higher exposures to the chemical were harmful -- current EPA guidelines have established a maximum safety level of 10 parts per billion (ppb) of arsenic in water -- the latest science reveals that even minute levels of arsenic are damaging to humans, which means millions of people are currently at risk. "We're seeing associations with lower and lower exposure levels," added Graziano. "And so are we concerned about the levels that we see in the United States? Absolutely, yes."